Having trouble finding a place to live in Salt Lake City? This online tool offers rents and other data by neighborhood — and it explains how hard it is out there. 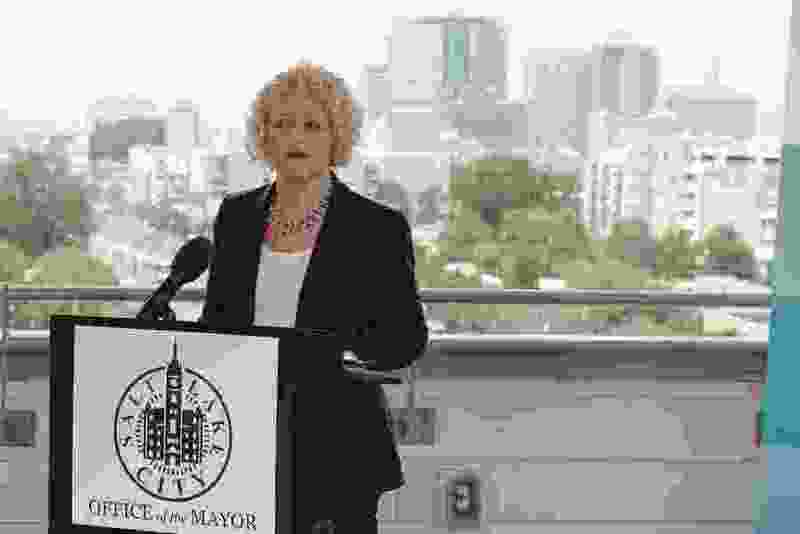 (Francisco Kjolseth | Tribune file photo) Among the initiatives pushed by Mayor Jackie Biskupski for more affordable housing in Salt Lake City is a new online dashboard, chock full of data, trends and policy ideas to address the problem. 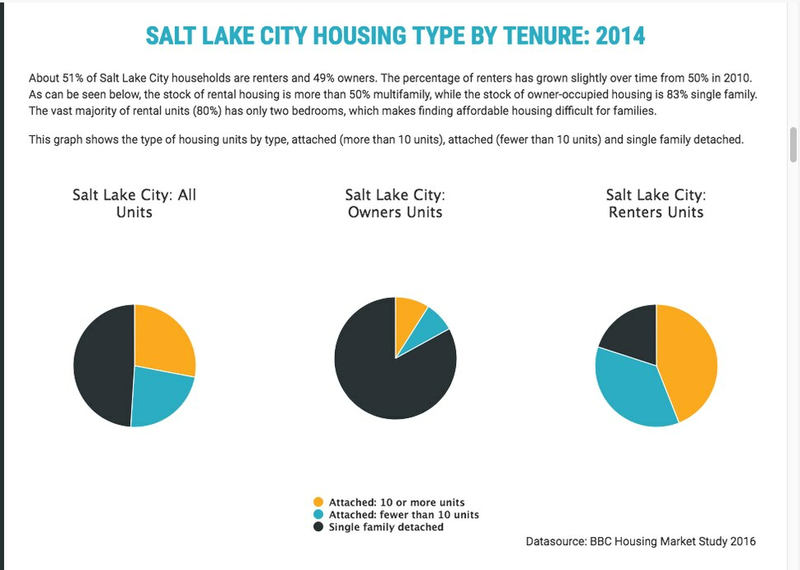 One key to fixing Salt Lake City’s housing crisis, according to Mayor Jackie Biskupski, is good data. She and other city officials are about a year into a five-year plan, dubbed Growing SLC, aimed at adding thousands of affordable dwellings. Too many residents, officials at City Hall say, are having to spend more than a third of their incomes on housing, leaving them financially squeezed and vulnerable to eviction and even homelessness. Many more residents are severely limited in their choices, priced out of buying a home or finding an affordable rental and often forced to commute or sacrifice on housing quality. "The city is deeply, deeply committed to this issue and finding the best solutions," said Melissa Jensen, director of the city’s housing and neighborhood development (HAND) programs. 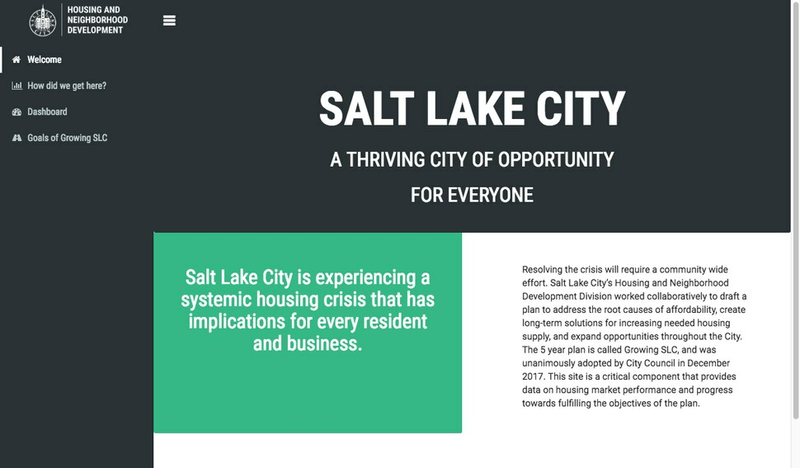 Enter the city’s newly unveiled Growing SLC Housing Dashboard, at http://www.slcgov.com/HAND. So, what is this dashboard and what does it do? An online clearinghouse and dynamic policy document, it is meant to push out key findings, numbers and trends that inform the city’s approach and frame its housing problems, often in stark terms. 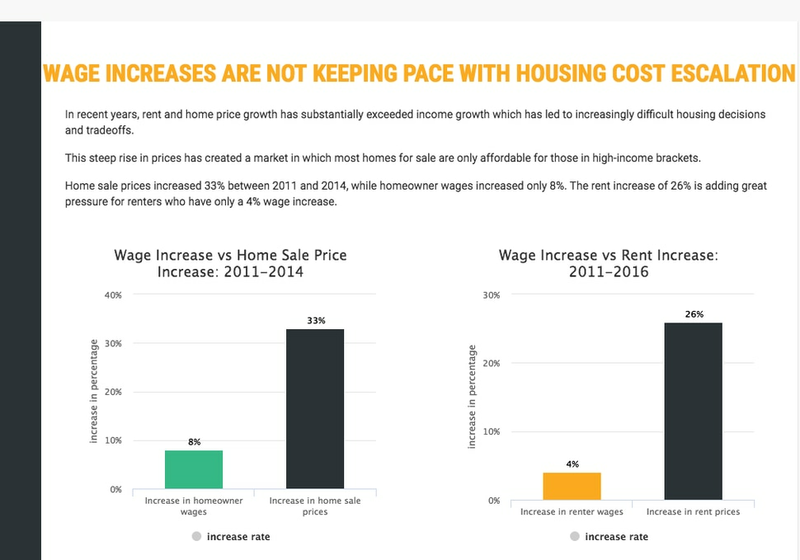 The problems it illuminates all revolve around a widening gap between housing costs and incomes. It’s been building since before the Great Recession, and city officials, housing advocates and others are calling it a crisis. City leaders have shifted some tax money and other resources toward identifying the root causes and alleviating the problem. There’s also a recognition that the housing crisis is related to a lack of economic opportunity for some residents, so officials say they want to expand that as well. Utah’s economy is booming. Why is there a housing crisis? The state’s economy is one of the best in the country in terms of growth and low unemployment. But even in good times, Salt Lake City is a place where many people struggle economically. Income numbers on the dashboard show what city dwellers earn is “a significant barrier to meeting housing needs.” The city’s area median income is $46,711, nearly $20,000 less than that of Salt Lake County as a whole. Only two of the city’s top 10 employment industries — professional services and finances and insurance — pay wages high enough to afford the median home price of $271,000. Other jobs city residents hold — wholesale trade, manufacturing, transportation, health, retail and hospitality — pay well below the median. Are median incomes in Salt Lake City really that low? • About 84 percent of the city’s workforce doesn’t live in the city, the dashboard says. They inflate its daytime population and demand for services. Many are folks who’d rather not be commuting — hello, congestion and air pollution — but they can’t otherwise afford to live close to their jobs. • Significant shares of the city’s population are college students, and these residents lower the capital’s overall median salaries to some extent. But, yes, a large share of city residents feel their budgets squeezed every day or are one bad break from a financial disaster or eviction. In many ways, Salt Lake City is not too different from a lot of other Utah cities and towns and elsewhere in the country. At the same time, over the past generation or so, home values and rental rates in the city have moved dramatically upward, while average incomes have not. That is the source of the crisis. But wait. I see houses and apartments being built all over the place. How can there be a shortage? Yes, the city has seen an impressive construction boom since the end of the Great Recession. Thanks in part to that job-creating economy and out-of-state investors lured to Salt Lake City’s real estate market, the city is seeing thousands of new single-family homes and especially apartments coming online, along with lots of new commercial buildings. But for all those new residential complexes you see, it’s just not keeping up with demand. For some residents, there are big gaps in what’s available in their price range, especially when it comes to where they’d prefer to live. That affordability gap has persisted for a while, too, and some experts say the shortage runs deep, with its sharp effects felt now as demand has picked up. What’s more, many of those new apartments going up in Salt Lake City are for renters with higher incomes by local and regional standards. That’s a healthy sign of economic growth, but right now, the city says its biggest need is for what is called deeply affordable housing. The dashboard says Salt Lake City needs at least 7,500 apartments affordable for the city’s lowest income renters, earning $20,000 or less. Developers will tell you that current market conditions — lack of undeveloped land, construction labor shortage — make those kinds of apartment complexes hard to build at any profit these days, at least not without heavy subsidies from taxpayers. I own my home. Do rising housing prices hurt me? Your property tax bill might go up, but otherwise, as a homeowner, you may be somewhat insulated from the steady rise of home values for now — unless you decide to sell and want to move somewhere else in Salt Lake City. In a way, the crisis is more about the city’s future, preserving a place where all walks of life can live, including new generations starting families and forming households. • Today, the city has about 74,430 households and slightly more than half its residents rent. • Nearly half those renters, or a total of about 18,672 households in the city, spend upward of 30 percent of their wages on housing. Among housing experts, that leaves those residents “cost burdened” and forced to skimp on other budget essentials to make ends meet. Many pay over 50 percent, leaving them even more pinched. With the state’s economy hot, the city’s vacancy rates are at historic lows. That means renters and would-be homebuyers are finding fewer options. I’m a renter. How can this housing dashboard help me? For one thing, the data show the housing crisis falls hardest on the city’s renters. They’re often strapped, forced to double up with other families and make tough budget decisions daily. Vacancy rates are low, rents climb regularly, and the dwellings affordable at the city’s median wages are few. The city’s dashboard has neighborhood-by-neighborhood data on affordability, so, you can compare prevailing rents and incomes from Sugar House and Central City to Poplar Grove. The information is pretty granular by area and also lets users calculate what neighborhoods they can afford on their incomes, without getting cost stressed. Average rents in Salt Lake City’s downtown, for example, were running about $1,250 monthly in early September. Residents making less than $50,000 a year would be considered cost burdened at that rent level, while those making $30,000 or less would be severely cost burdened. The site is updated dynamically, too, so new numbers flow in automatically as they become available. Interestingly, the dashboard also has mapped economic opportunity across the city, based on factors like the jobless rate, income levels, household cost burdens, rates of homeownership and educational attainment. City officials hope the information will be useful in guiding future housing development. What other gaps are there in the city’s housing market? The city’s housing stock is relatively old, with most of it built before 1940. That means some homes are dilapidated or unsafe. That, in turn, is motivating a host of city policies on affordable housing, from city loan programs to help residents make repairs to a new initiative to upgrade and preserve housing units as new development happens. About half the city’s dwellings are single-family detached homes with large yards. Those homes, the city says, are generally not as affordable as apartments, duplexes and condominiums. So the city is encouraging a mix of housing construction that gives more renters a chance to buy. The city says it also seeks new housing that is attractive to millennials who live elsewhere across the valley but work in the city, giving them a chance to relocate. So, what is Salt Lake City doing about all this? The dashboard spells out an expansive agenda, partly in recognition that the housing crisis has many, many answers — not just one. Growing SLC, the city’s housing plan, says the city aims to attack the problem, with changes to zoning, developer and landlord incentives, building permit shortcuts, new parking rules, rent assistance, preservation strategies, land trusts, energy efficiency, new housing types and a range of financial measures. It’s also clear from the dashboard the city has a long way to go.